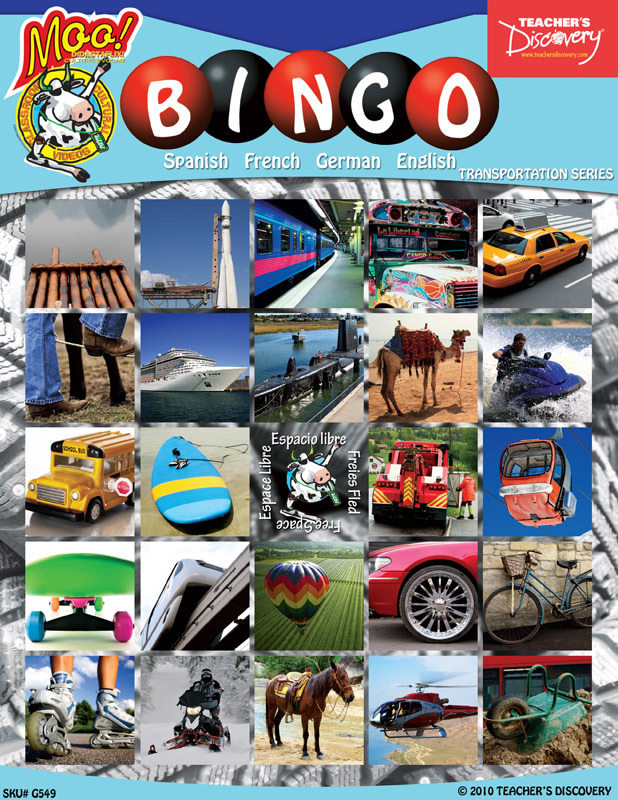 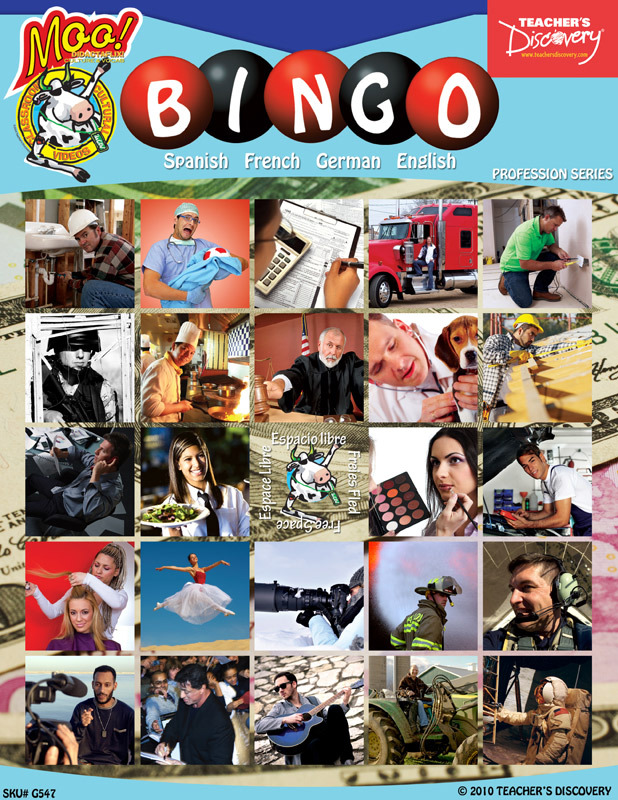 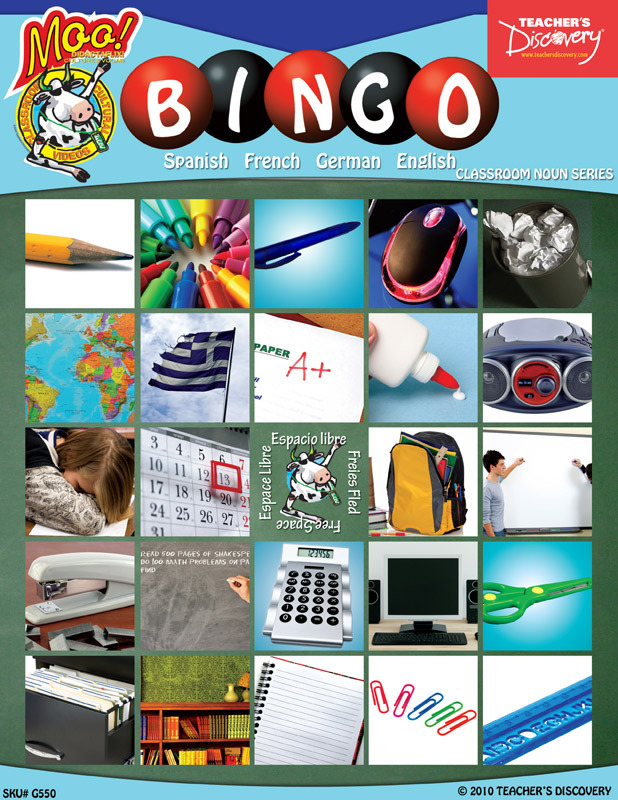 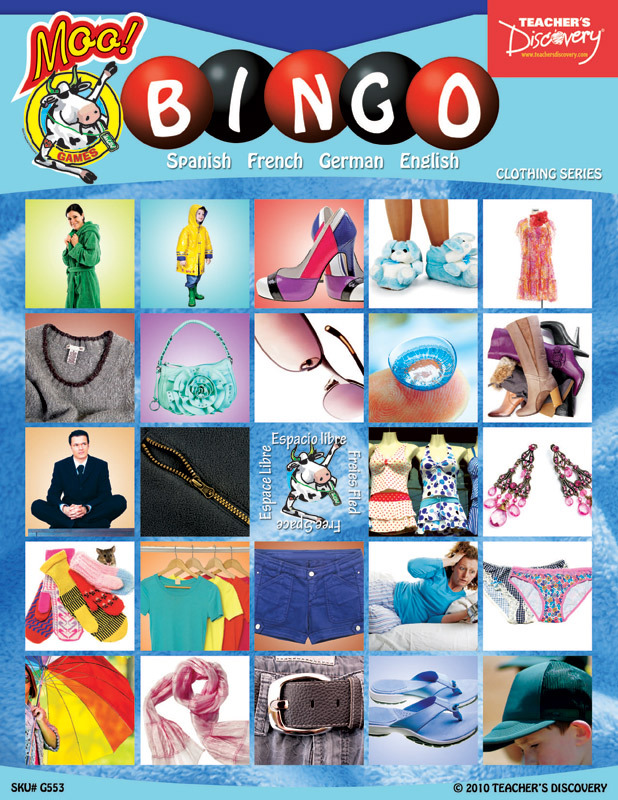 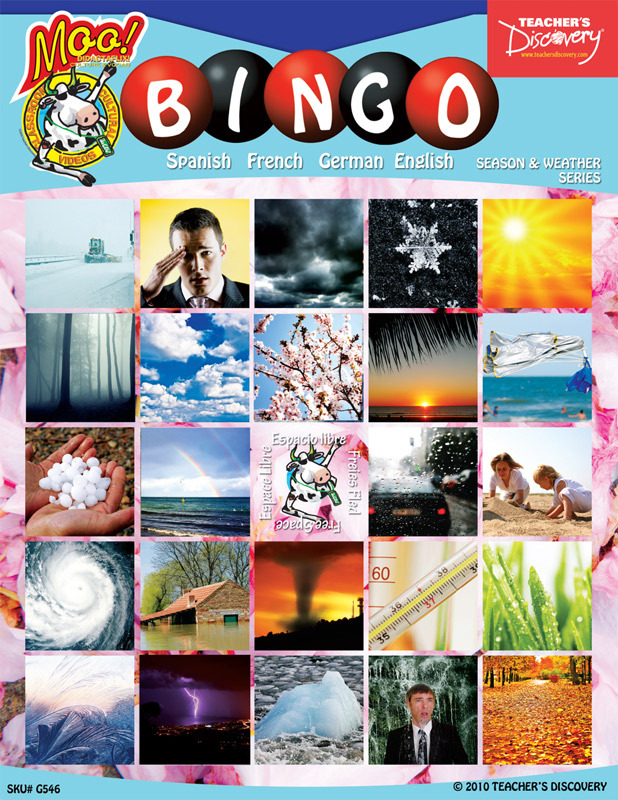 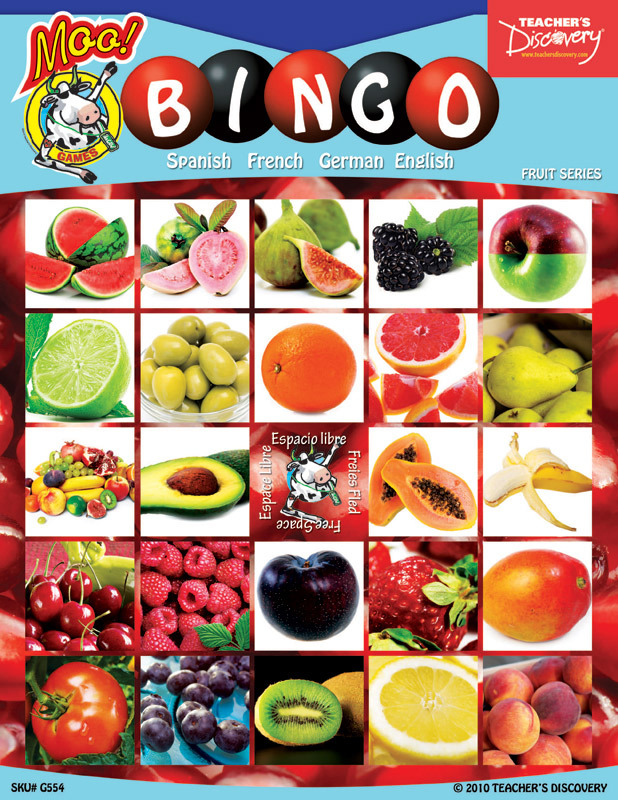 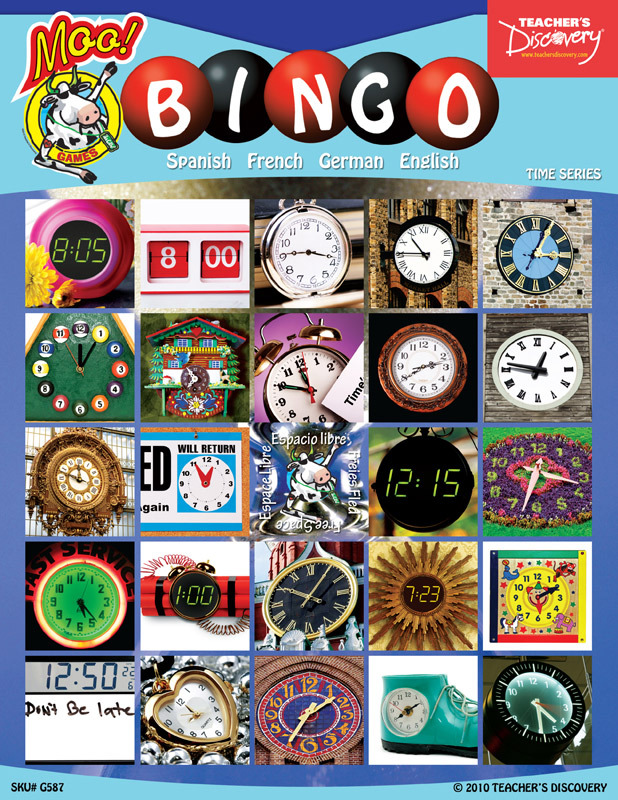 Flashcards and Bingo Cards Set of 12 Topics for World Language Teachers! 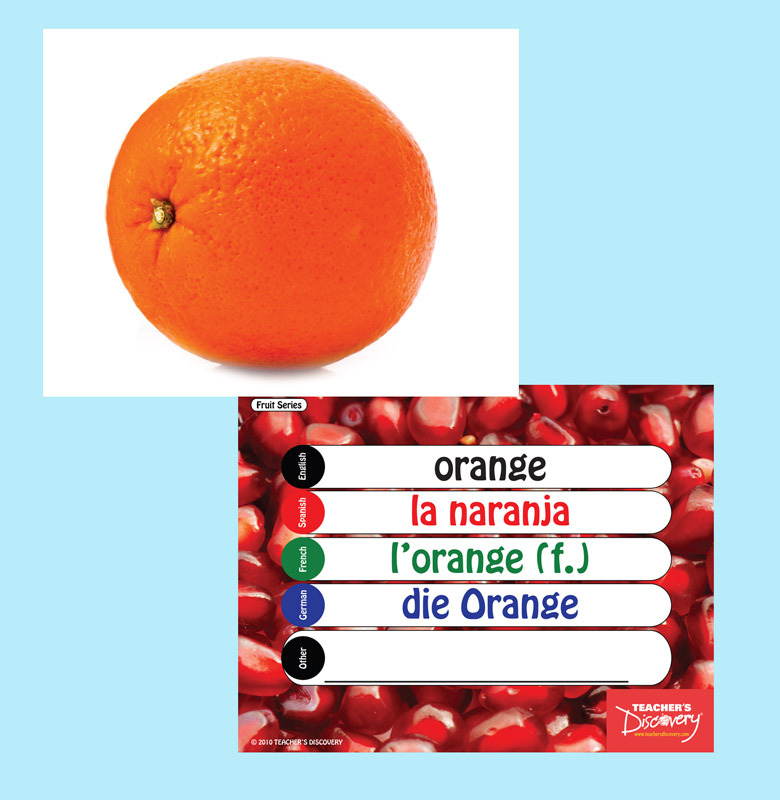 FLASH CARDS - New images, bigger-than-ever, updated word lists–everything you asked for! 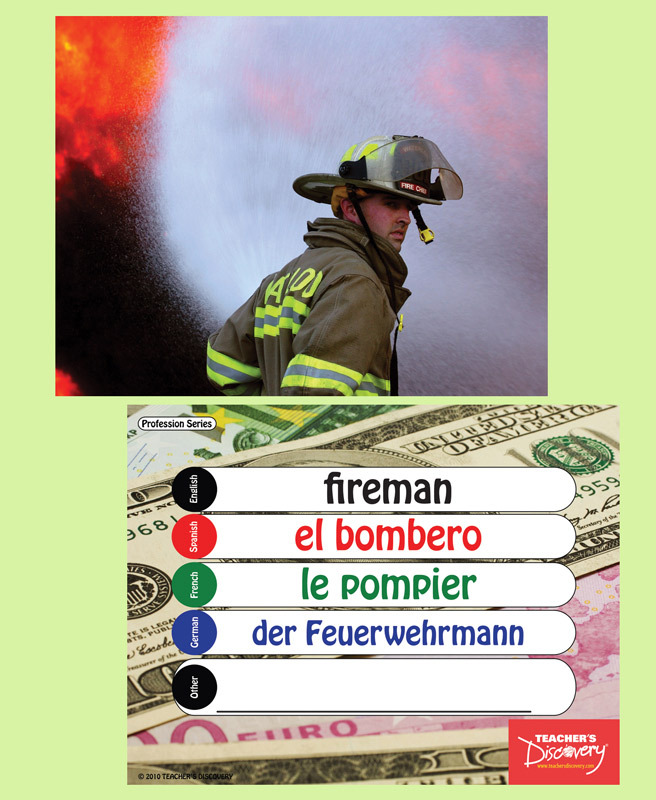 Flash cards have 32 topic-related vocabulary words. 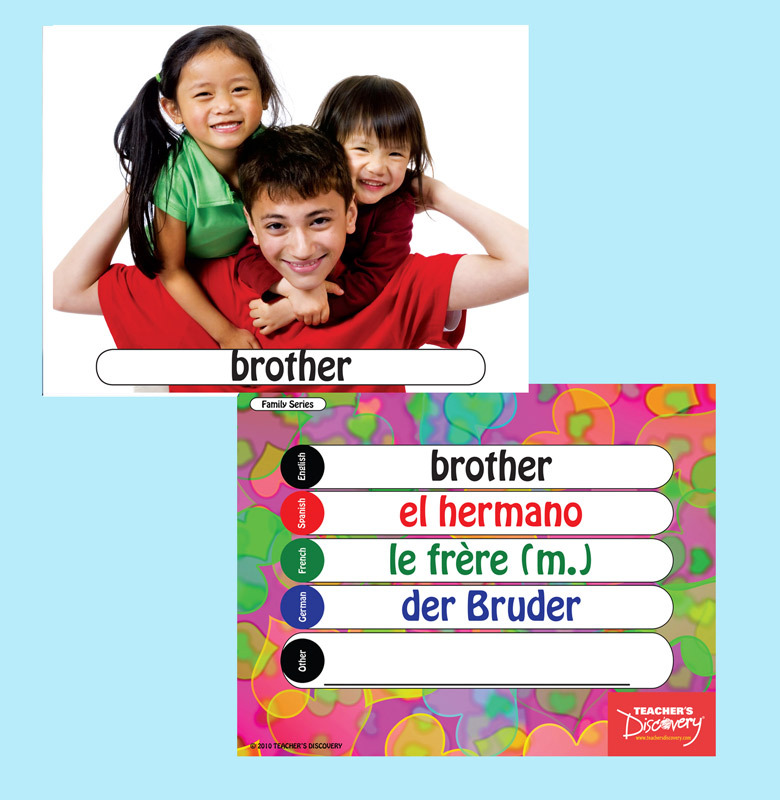 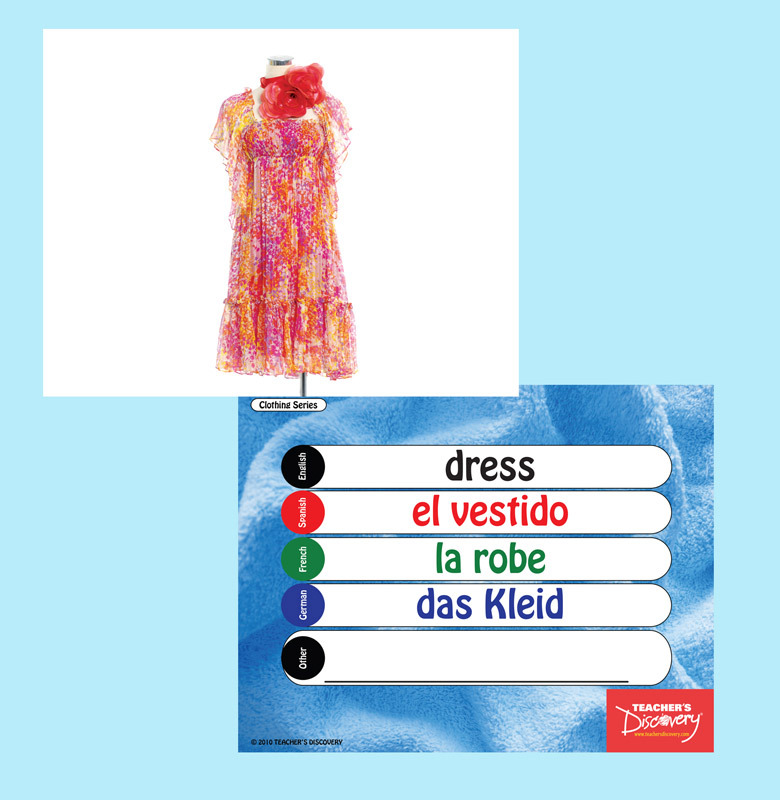 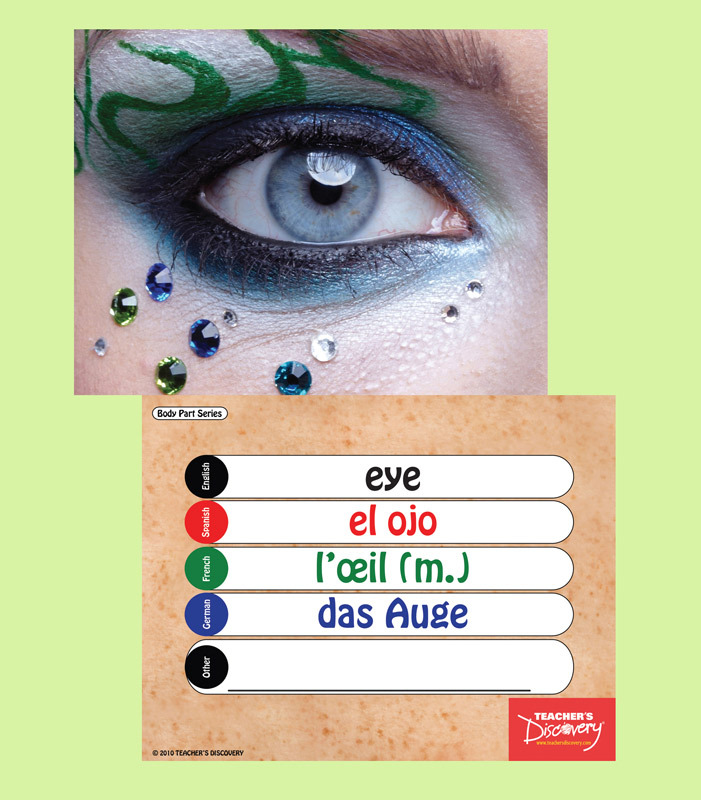 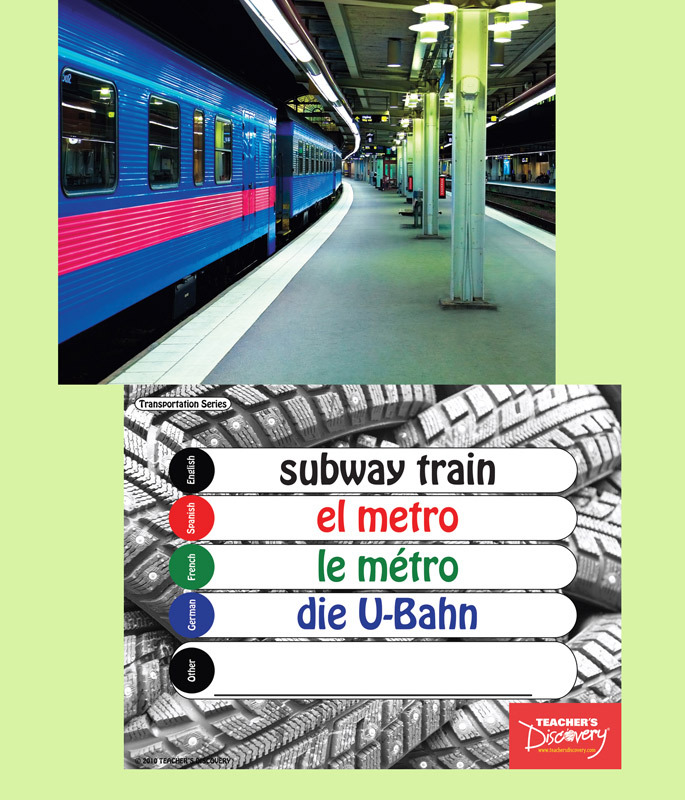 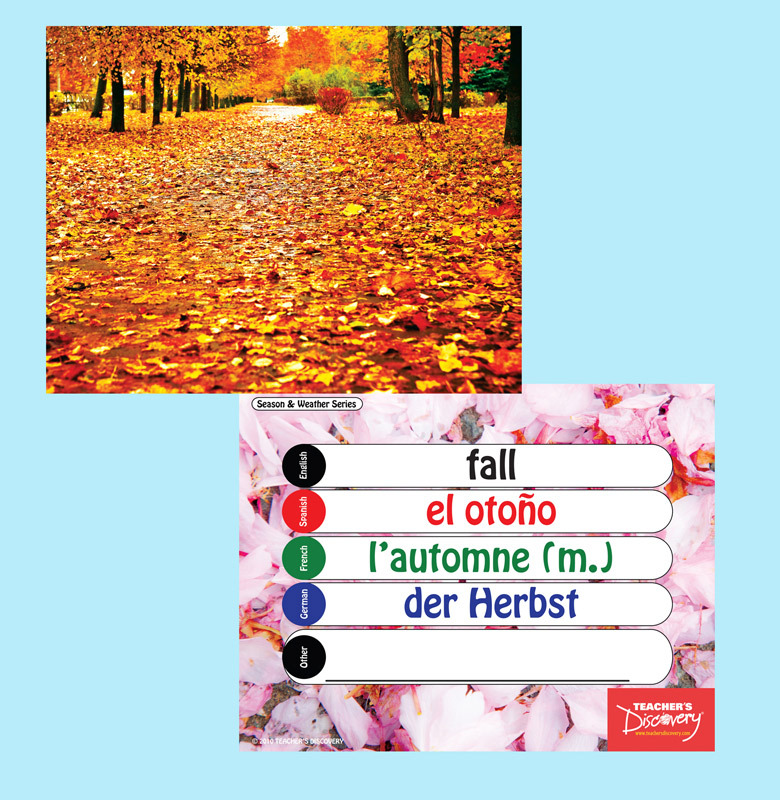 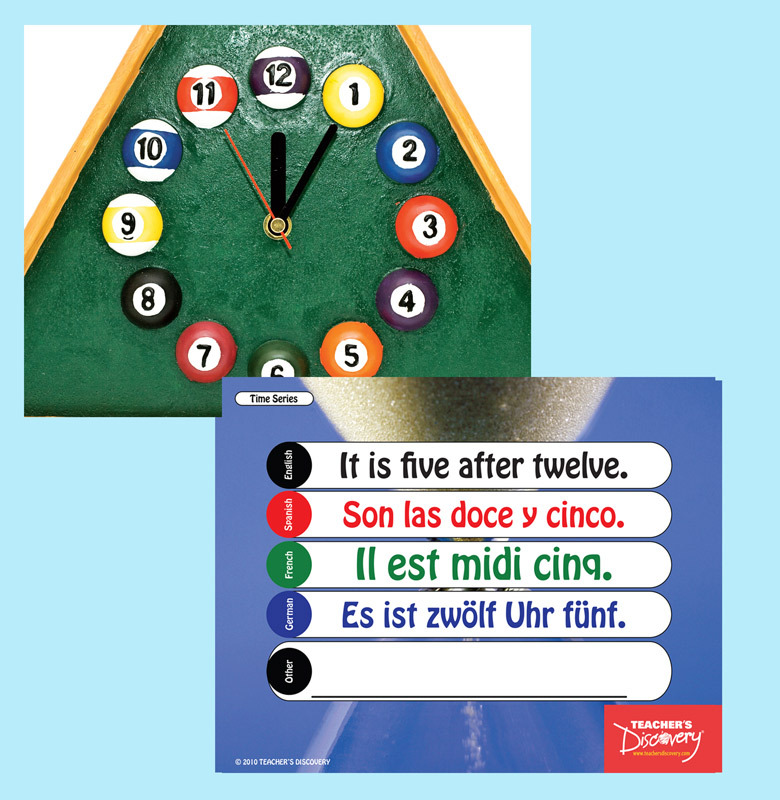 The flash cards are a full 8 x 11 inches with vocab in English, Spanish, French and German, plus a blank space to add your own language on the back. 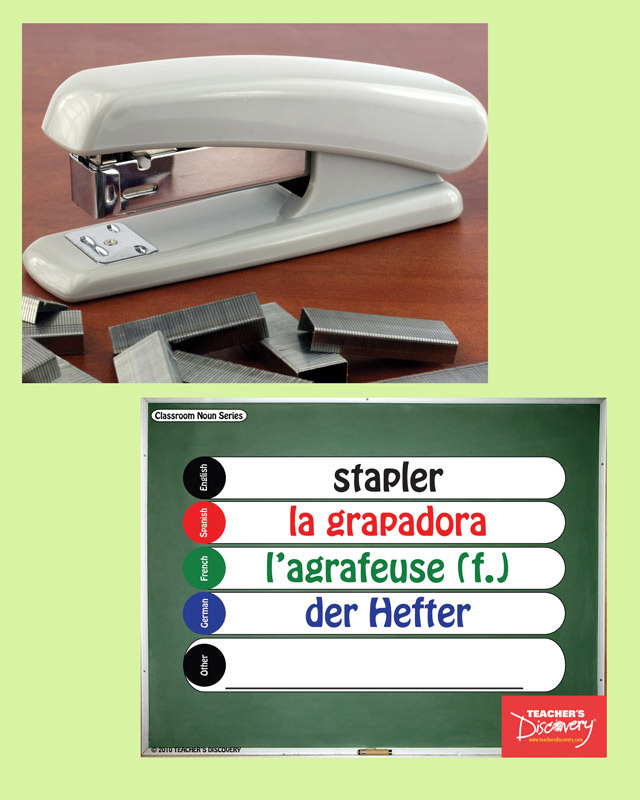 We've even included a reproducible study sheet for the students. 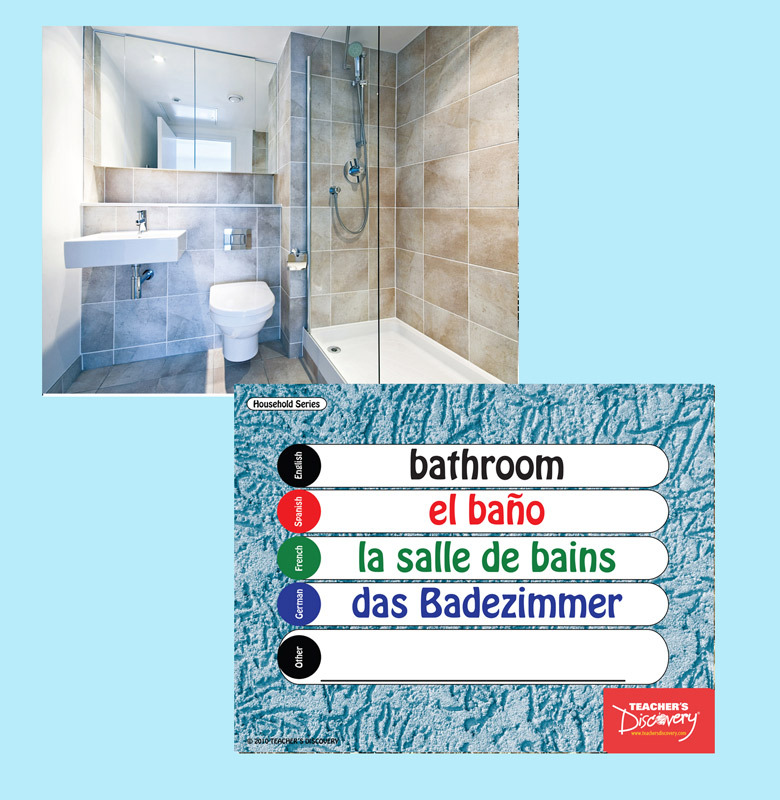 They are made with environment-friendly cardstock and include a reclosable plastic envelope for storage. 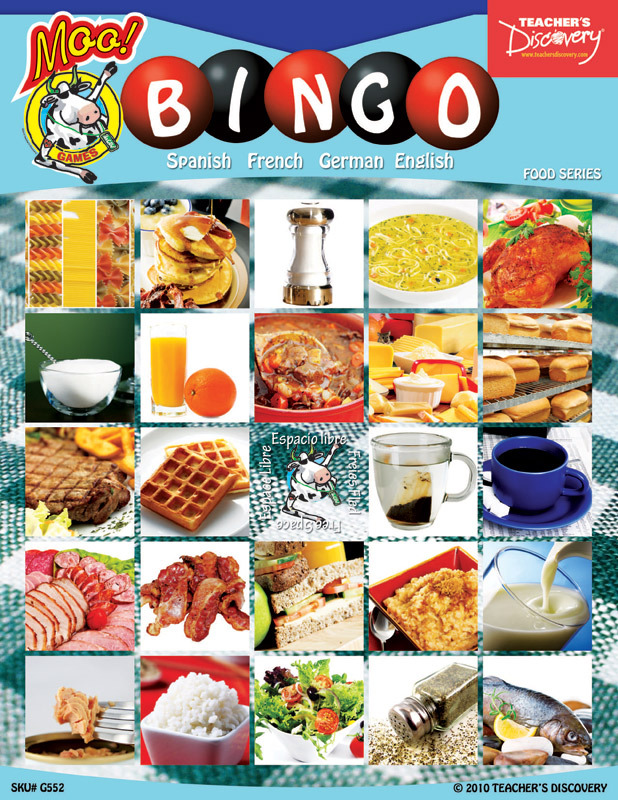 BINGO GAMES - New images, bigger-than-ever cards, updated word lists–everything you asked for! 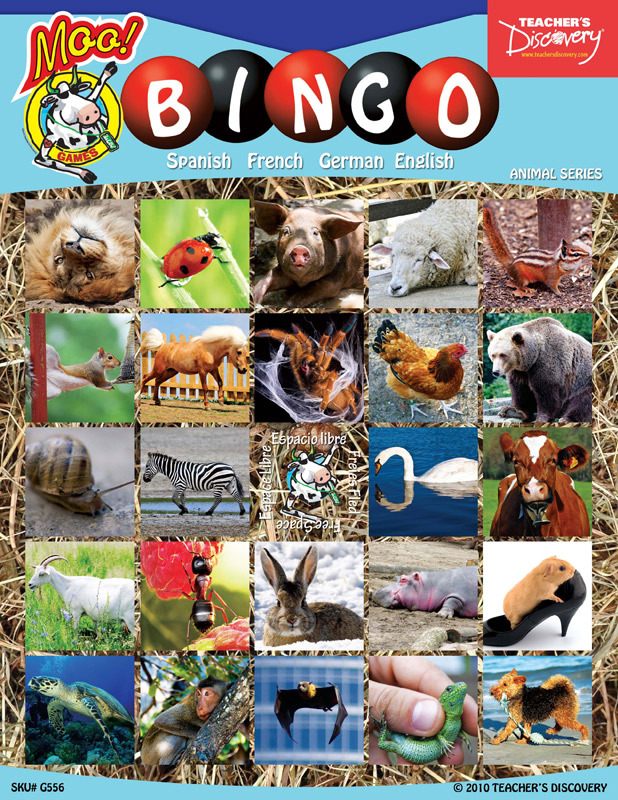 Bingo games help reinforce 32 topic-related vocabulary words. 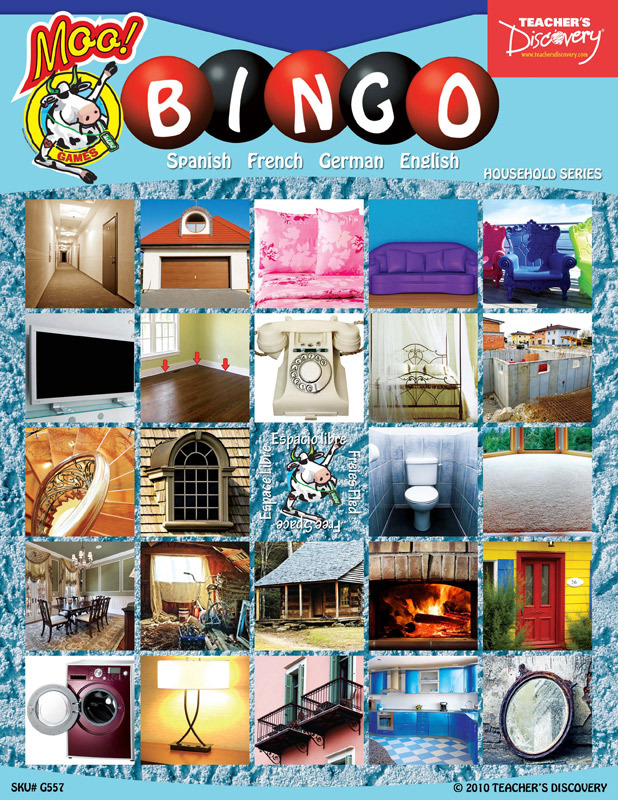 The game cards are a full 8 x 11 inches with 24 pictures and a free space in the middle. 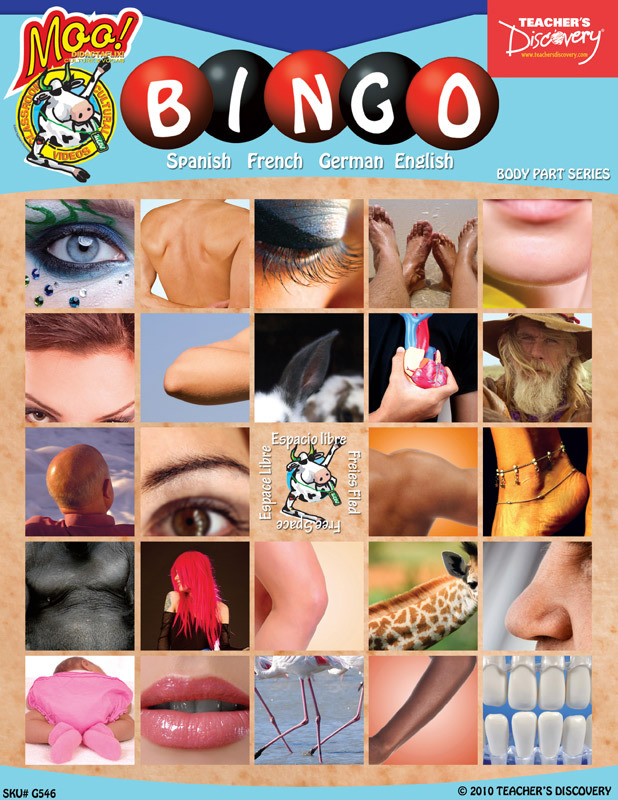 The call-out sheet doubles as a study guide for the students. 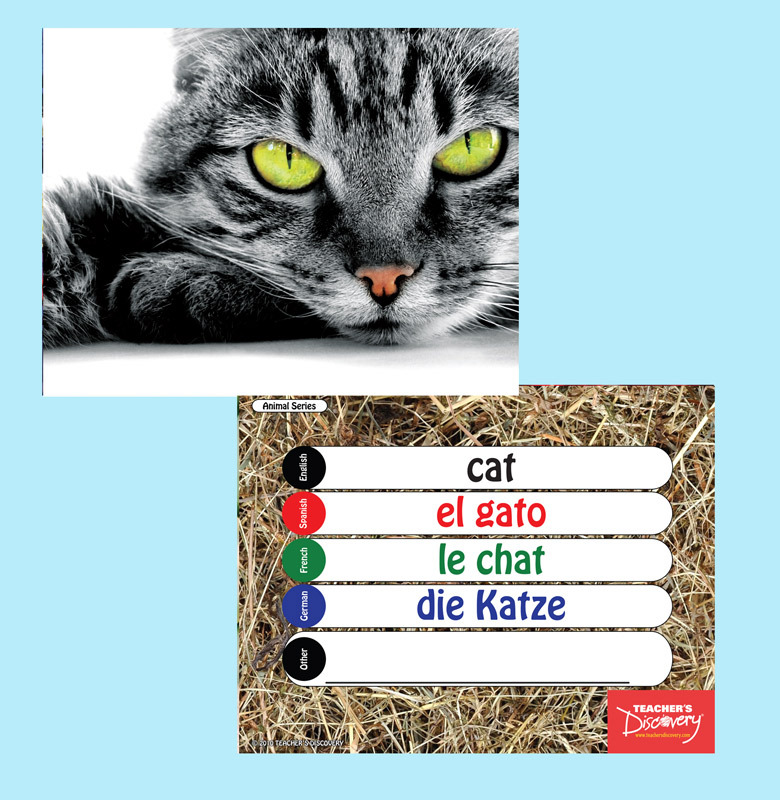   Languages include English, Spanish, French and German; plus, a blank line to add your own language. 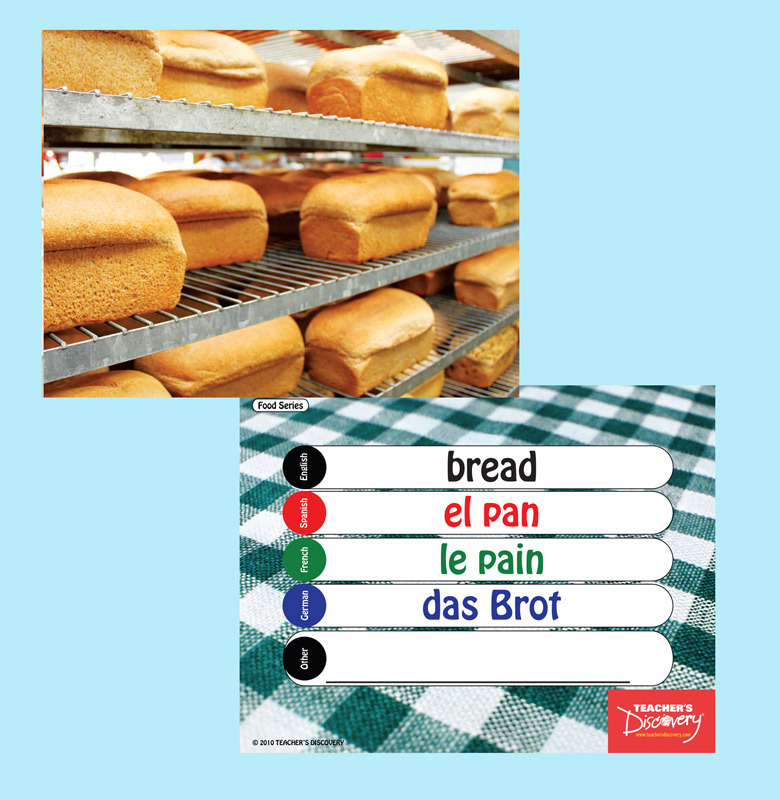 They are made with environment-friendly cardstock and include a reclosable plastic envelope for storage. 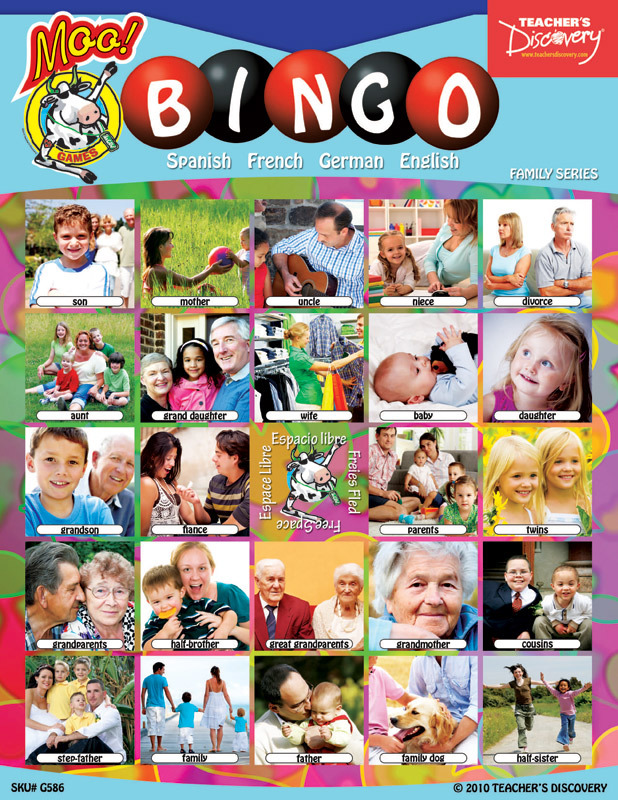 36 game cards.